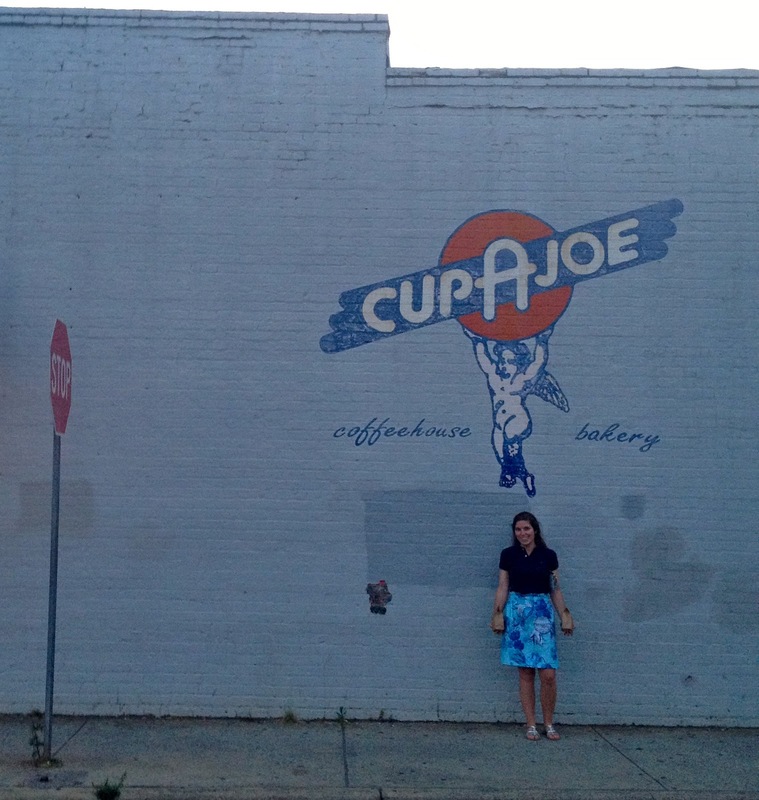 Everybody likes coffee, right? Until about five months ago, I did not get it at all. I had always liked the smell but never liked the taste of coffee. My dad drinks it in the morning, and for a period of time when he was driving me to school every day, I would make it for him. When I went back to work after a short Christmas break this year, it was just too much for me to handle. After too many long pauses to yawn while reading a story or giving what should have been quick instructions, I knew it was time for a change. At first, I liked the boost every few mornings. But as my mom warned, it didn't take long before I was hooked. Since I started my coffee habit in January, I hadn't thought about what I would do during hot weather. I thoroughly enjoy a hot cup in the morning while I study my Bible, but when it started heating up last week, I found myself pouring out half of what I'd made each morning. 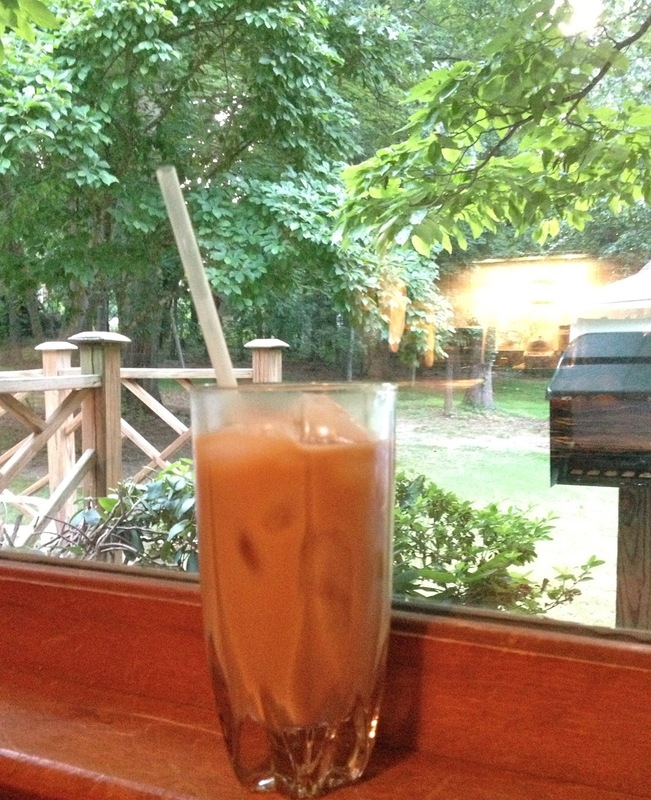 Then, I remembered the times my dad made iced coffee. 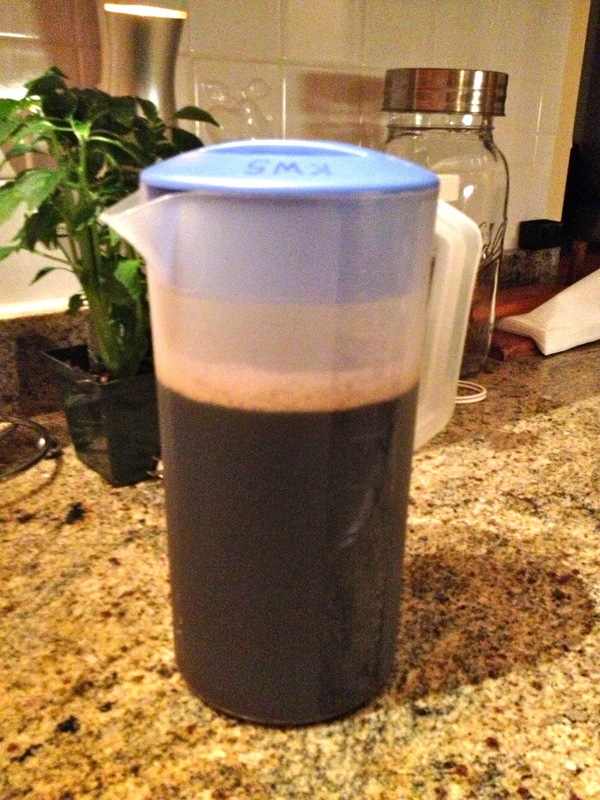 A few years ago, my mom's friend raved about her iced coffee that she made with a cold brewing system, and she talked my dad into trying it. She may or may not have actually bought a cold brewing system and chocolate powder for our house. I saw some buzz on the internet over the Pioneer Woman's iced coffee recipe, so I combined what I learned from my dad and Pioneer Woman to try it myself. 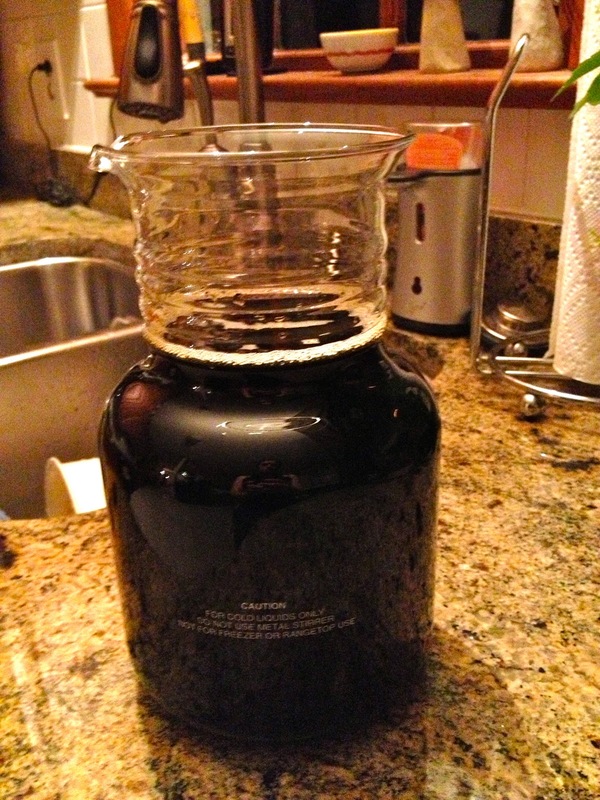 I used our cold brew bucket/carafe and quartered PW's recipe. Instead of my dad's precise mix of this flavor and that flavor, I got some Costa Rican beans ground at Cup A Joe. B's parents always get their coffee there, and he had given me the same kind of coffee for Valentine's Day. I let the 1/4 pound of ground coffee and 2 quarts of water sit for about 20 hours then pulled the plug and let it drain. I moved it to the pitcher to store in the refrigerator. The next morning, I tried it as PW suggested: lots of ice, about half a glass of coffee and half milk, with a spoonful of sugar. Honestly, I was not a fan of this mixture. 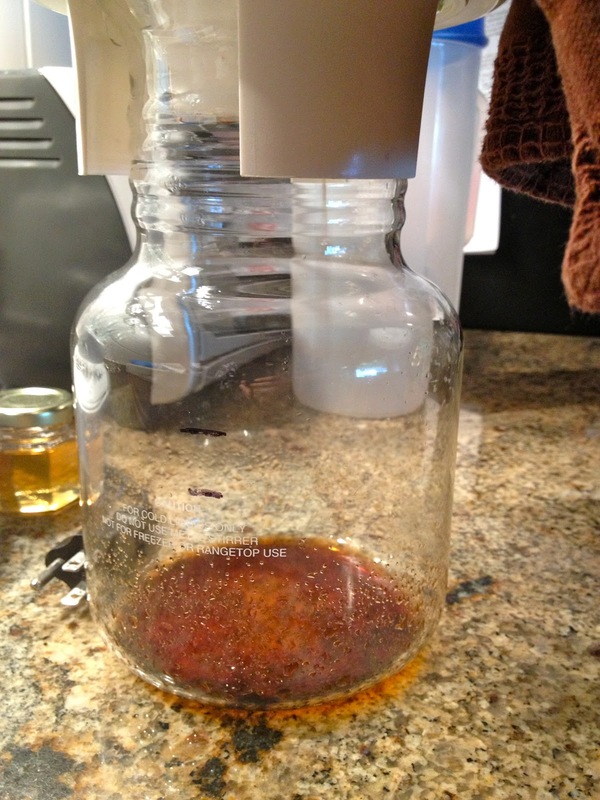 Since the drink was cold when I added the sugar (breaking an important rule if you know anything about making sweet tea), the sugar did not dissolve. Crunching on sugar that I don't normally drink in my coffee anyway . . . no, thank you. I almost gave up, but the next morning I tried to make it exactly the way I would drink hot coffee: with a generous splash of almond milk. And now, finally, I have found my solution for summer coffee. Just trust me on this and make your iced coffee the same way you like hot coffee. I got my concoction right in time for a pick me up before volunteering at my church's 5K on Saturday. How do you like your coffee? 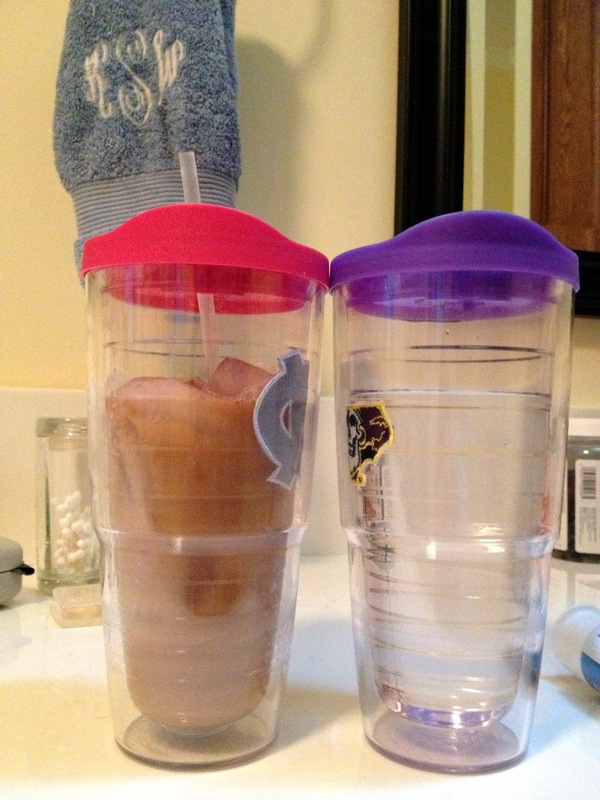 Ever tried making iced coffee at home?